standardized test preparations for both traditional schools and homeschoolers. Ed Anywhere’s satellite program works through homeschooling groups, who enroll students in the ED Anywhere program and then receive $20 per month per student during the full enrollment of that student. This means that homeschool groups can make $100 per month on 5 students and up to $1000 per month on 50 students. Some homeschool groups with 1000 students can make as much as $20,000 per month or $240,000 per year. Homeschooling has always been more of a grassroots endeavor which lets families stay true to their philosophies by allowing them to create individualized learning environments and educational programs to meet their own needs. It also means that like-minded individuals can collaborate to improve the process through supportive groups without the bureaucracy associated with traditional school organizations. One of the biggest contributors to the organized growth of homeschooling has been the localized homeschooling groups. Often set up according to geographic location, religion, or homeschooling methodology, these support groups welcome families new to homeschooling, gather and share resources with members, and provide assistance in making decisions. One strength these groups have is that they retain their commitment to individualized learning by providing families the opportunity to continue on their own education path while still being a supportive organization. Such individualism, however, often means that families are left to their own devices when it comes to many of the difficult choices and problems that occur during the homeschooling process. Even with strong efforts and experiences being shared among members, many times homeschoolers face new areas beyond their expertise, such as subject matter, special needs, or remedial skill issues that the homeschooling groups do not have the resources or expertise to tackle. Fortunately, homeschooling has recently been growing in both numbers and acceptance, which is providing homeschooling families with more choices and opportunities for collaboration and support while still remaining a personal undertaking. A new opportunity for homeschooling groups to reach a higher level of expertise and resources has recently become available through satellite distance learning schools. These programs, under the umbrella of a larger homeschooling group, promise to provide the best of both grassroots and organized worlds. For instance, the new satellite programs offered by ED Anywhere give homeschooling families access to education professionals, which helps the groups to provide the best homeschool experiences for their families. ED Anywhere is an alternative education program that offers middle and high school courses along with remediation skill building, credit recovery programs, summer school options, and standardized test preparations for both traditional schools and homeschoolers. The satellite program works through homeschooling groups, who enroll students in the ED Anywhere program and then receive $20 per month per student during the full enrollment of that student. 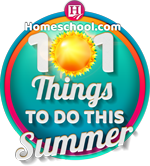 Homeschooling groups earn money and can use it to supplement activities, plan graduations and field trips, and for other educational events for their members. 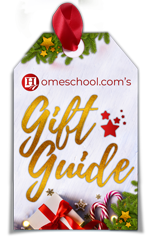 At the same time, the program allows homeschoolers who have already come together to support one another to move the experience to another level. With the professional consultation process that is part of the satellite program, homeschool groups can talk to educators, counselors, special education teachers, psychologists, nursing staff, and nutrition and wellness experts. 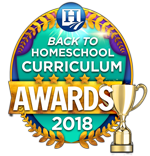 This information can help groups and families solve specific problems, help provide informative documentation for learning, and help provide the supplemental knowledge to complete the homeschooling experience for all its members. 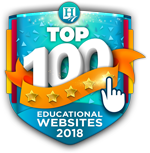 “This is exciting because for the first time it will allow homeschool families to talk to professionals in the field in order to help them improve the quality of the homeschool services they provide their children and increase a positive homeschool experience,” says Philip Singh, director of the ED Anywhere School. Mr. Singh has a clinical psychology background working with at–risk youth for 25 years and the ED Anywhere program uses certified teachers with experience working with elementary to high school students. The pricing for the classes start at $100 per month or less than $3 per day, which is an affordable way for students to get their schooling. The program has already helped some groups expand the services they offer. There is strength in numbers and in this case numbers also provide the opportunity for homeschool families to increase the quality of their homeschool experience through a larger organizational plan while still reaching their individual goals. More information is available at the ED Anywhere web site located at: www.edanywhere.com. The program can also be reached through e-mail at [email protected] or by calling Toll Free at 1-877-4ED-0805.